My name is Ivan Portilla. I’m an IT architect with IBM currently working with a group that provides cloud solutions for our internal and external customers. Everything I’m sharing today is my opinion, and not of IBM, WayBlazer, or Neo4j. Before we dive in, let me ask you a question: What would you do with Watson? So, what will you do with Watson? What do we know from the video? Watson understands human language. He reasons and learns as you use him. So today, I have a very simple agenda: I’m going to tell you about cognitive computing, the travel POC that we did with WayBlazer, and the advantages of using the IBM hardware POWER8. The first is the Tabulating Systems Era which begins in the 1900s. At that time in the US, we were trying to conduct a census every ten years – but it was also taking us ten years to do each census. The US government approached IBM for help, and we started using the Hollerith Machine to count data. Actually, very few people know that one of the first things IBM did as a company was to develop weights and clocks. In the 1950s, we move into programmable computers in the Programmable Systems Era. The picture in the corresponding section of the chart above is the System/360, which was a huge success for the company. And then, on February 14, 2011 at 8:00 PM Mountain Time, we announced Watson during the gameshow Jeopardy, which launched us into the age of cognitive computing. A lot of people tell me that computers are going to replace humans, but I don’t agree; we’re just going to use them by outsourcing some of our thinking – the things that we’re not good at, like remembering things or doing calculations. But humans are also good at a lot of things such as poetry, imagination and abstraction. So there is a complementary effort between computer systems and humans, and this partnership will create better results. 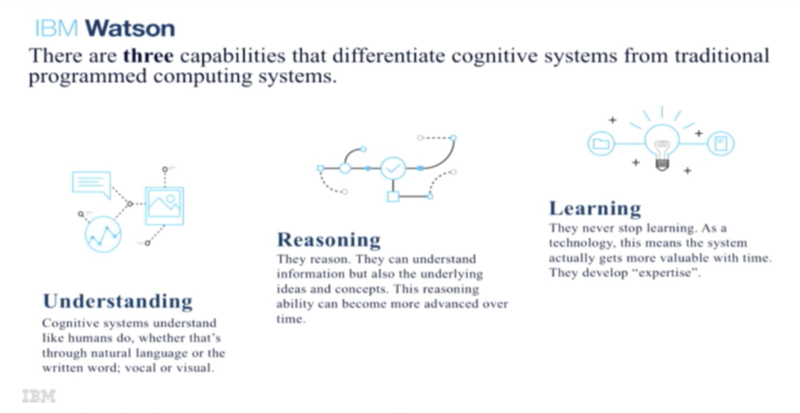 To define cognitive computing, you have to think about three major concepts: understanding, reasoning and learning. Cognitive computers understand human language, such as English and Spanish, which is different from the artificial languages of Java and C++. Initially Watson only understood text, so Jeopardy questions were fed into the system via email. Now, Watson understands audio similarly to Siri, Google Now and Amazon Alexa. More recently, Watson has also gained the ability to watch and learn from videos. The second characteristic of cognitive computing is reason. Watson is able to come up with a hypothesis backed by a huge amount of evidence. To prepare for the game of Jeopardy, Watson read 200 million pages of information – the equivalent to the number of books there are in the US Library of Congress – and had all this information in memory to answer the question. And finally, cognitive computing systems learn. As you start using them, they get better. Something that’s important to keep in mind about cognitive computing is that it’s probabilistic, so while it’s not good for a question like, “What is two times two?” it is good for the question, “What is the weather going to be tomorrow?” See the difference? What’s New with IBM Watson? We are working with health institutes and universities to detect cancer. For example, we’re working on a project in Mexico that will provide free mammograms for people with low incomes, which will help save lives. In the field of embodied cognition, we’ve developed robots with the Japanese company SoftBank and are deploying them to places such as banks and hotels. We are teaching Watson several more languages. To keep the machine working at optimum speeds, we’re working on something called SyNAPSE – where 3Ds are stacked in the CPUs – to more closely mimic the human brain. 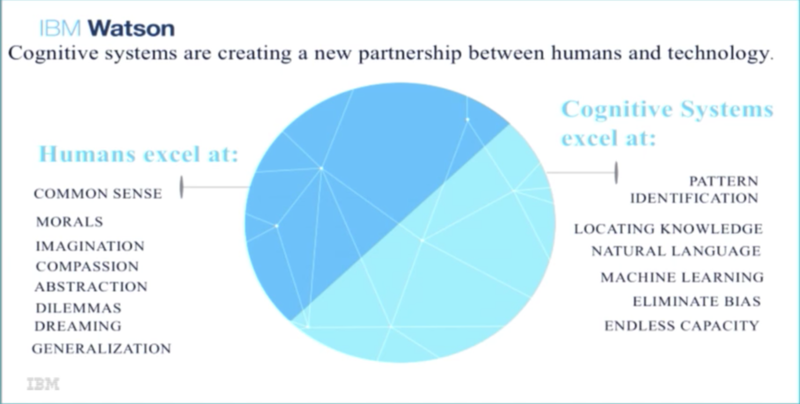 Watch this video (password: watson) for more information on IBM’s embodied cognition (robots). Imagine how many industries – hotel, restaurant and retail – could benefit from this type of embodied cognition. For us, it’s about a journey. We start our customers in this cognitive journey to transform their industries, and we tie both the cognitive computing with the analytics component. Travel is projected to be a $10 trillion industry in the next couple of years. On average, a single customer will visit 20 websites to plan their trip. You have to research the hotel (its location, customer reviews, pictures of the room), choose a car to rent, where to sit on the plane, where to eat and how to catch a taxi. This points to a huge opportunity for cognitive computing in the travel and hospitality industries. We are currently working with several hotel chains throughout the world, one of which is in Japan. This hotel has a robot for check in and another in guest rooms. And if you forget something, such as toothpaste, you send a text message and a robot will bring it to your room. It’s amazing. While some people prefer a human touch, many people – such as millennials – are already used to this type of technology. There is a great opportunity for growth in this area of the marketplace. The company WayBlazer has been an IBM business partner since 2014. It was co-founded by Terry Jones, who was the founder of Travelocity and Kayak, as well as Manoj Saxena, the former General Manager of IBM Watson. The current CEO of Wayblazer is Felix Laboy, the former president of Sabre Hospitality and Founder/CEO of E-site marketing. Here’s a full-length video you can watch to learn more about how to use cognitive applications in the travel industry. We’ve worked on another project with a hotel in Austin, Texas that provides healthy food recommendations for guests. The initial POC includes traveler personalities, which we call digital personas, and builds profiles on each type of traveler. For example, are you a family traveler? A business traveler with an expense account? Is it a group of men or women who want to go out in the evening? When you ask a question, it generates entities, and based on those entities, you can create nodes and relationships. I’m from Boulder, Colorado, and I want to find good Mexican food. I’m going to ask the question: where can I find the best tacos in town? And I choose two restaurants from there. But notice the path – the tool also includes the romantic profile of each restaurant. From there, it’s going to transverse to T/ACO Colorado based on my profile. By using Neo4j with Wayblazer, we’re enhancing the graph database results with cognitive computing – the supervised learning of your preferences. This demo shows a natural language conversation, understanding, reasoning and machine learning. This is one type of application you can build with graph databases in cognitive computing. Our current customers expect a response time of 100 milliseconds, down from the average time of three to seven seconds. We’re taking 50 milliseconds to go back and forth to the website and another 50 milliseconds to perform all of their operations and logic. Out of those 50 milliseconds, we want the database to respond in 1 millisecond. Imagine the type of architecture that you need to support this business requirement. But – being IBM – we have a solution for you. We have a new system called POWER8 power architecture that is actually an open source tool. Google, as well as some other companies, are partnering with us on this project. We have four times the number of threads per CPU, four times the bandwidth for memory and four times the cache. This means that in life memory, we can go to 16 terabytes – which is what Watson uses – with something called CAPI Flash. We can use your flash storage as memory, and the computer won’t know the difference between whether or not it’s real memory or storage. Some of the companies we’re working with are Neo4j, Cassandra and Redis. From POWER8 versions 2.x to 3.x, we made some improvements in speed. But the real improvement came when we talked to Neo4j consultants and developed Cypher that was four times faster. This is a good reminder that before spending millions of dollars to re-do your system, always look at your code. After the work we’ve done, we have a number of lessons learned. This includes: understand cognitive computing, use the appropriate type of architecture for your problem, perform innovations, make sure your programming is agile and trust your business partner. 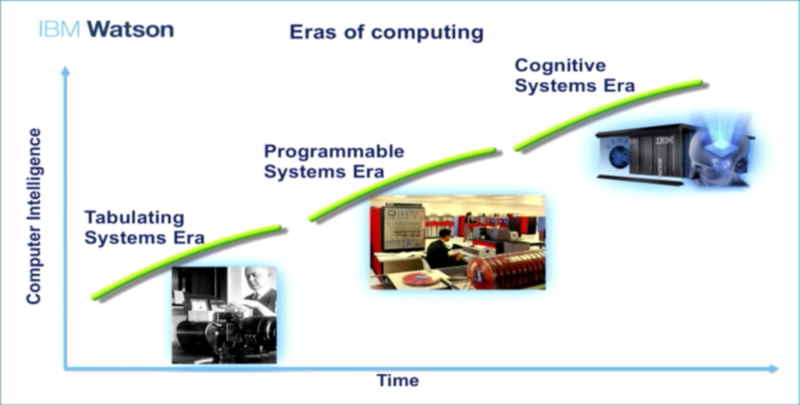 There are a number of tools and resources you can use to continue exploring cognitive computing. I encourage you to check out the platform as a service Bluemix. Anyone can use it, and it offers a ton of APIs and services. Someone described it as providing two people in Starbucks with the same computing power as a large company like IBM. One of the services we provide in the Watson portfolio is called the Personality Insights API, which analyzes an analysis of individuals based on their texts, chats and voice. This could, for example, allow us to pair you with a service representative who would be most likely to keep you from leaving the company. You can also analyze your tweets and be matched with a celebrity that has a similar personality. Inspired by Ivan’s talk? Click below to register for GraphConnect Europe and see even more presentations, talks and workshops from the world’s leading graph technology experts. 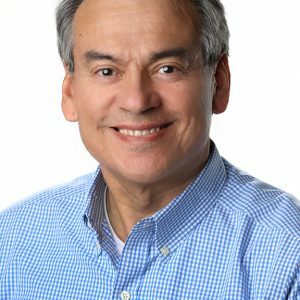 Ivan Portilla has worked as a data architect at IBM for the last 25 years. He is currently the Watson Solution Accelerator Leader of Global Business Services where he works on the development of IBM’s cognitive computing technology.